Ghost Watchers, Moenkopi Wash, Arizona ©2016 James D Peterson. 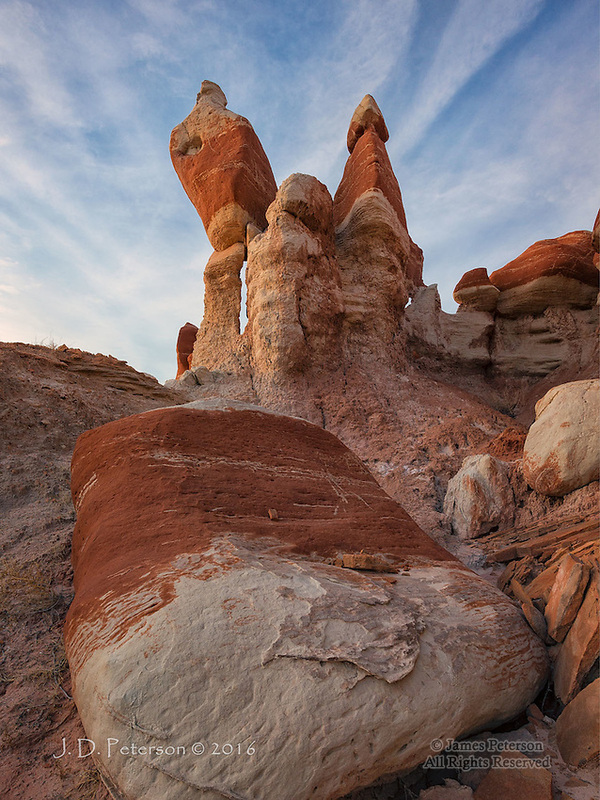 Haunting landscapes can be found throughout the Southwest, and it would be very difficult to find one that's more otherworldly than any other. But this area would certainly be a contender. The fading sunset light imparts a warm glow to these red sandstone towers.